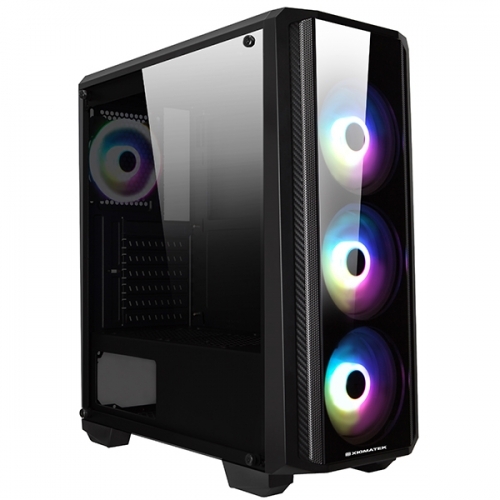 Xigmatek Sirocon II is the latest gaming case comes with front and left tempered glass case, the case chassis designed for major ATX, M-ATX and Mini ITX motherboard. Support 158mm CPU Cooler clearance and 340mm VGA card, up to six 120mm fan or liquid cooling radiators front 240/360mm and rear 120mm for excellent cooling performance. PSU shroud design easy to do cable management and hide all the messy cables for a tidy display. This case is a perfect choice to build your PC and display the beautiful PC build at the same time.